You’ve probably heard the term Big Data, and maybe you’ve wondered exactly what it is and how these digital breadcrumbs relate to the e-Learning world. Find out the answers to all your questions, including what the benefits are and how Big Data is changing the way we approach e-Learning design. Breadcrumbs or footprints are traces left behind to track or record an activity or path, so that people can find it later. Digital breadcrumbs and digital footprints work the same way in technology, including the e-Learning industry. People who track these digital traces now refer to them as Big Data. You’ve probably heard the term Big Data, and maybe you’ve wondered exactly what it is. 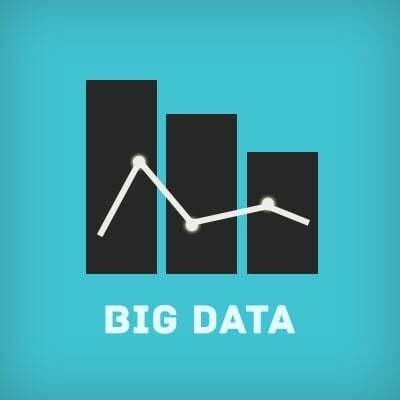 Big Data refers to the large amount of data that’s flowing through many sources every second, along with brand new types of data. It’s data that is too large, complex and dynamic for any conventional data tools to capture, store, manage and analyze. Thanks to advancements in technology, this data can now be analyzed, which is helpful for healthcare, government, retail manufacturing, and of course, e-Learning. However, Big Data wasn’t always so easily analyzed. The term Big Data originated in the open source community. They were trying to find faster and more scalable solutions to store and process all this data, instead of using traditional data warehousing approaches that didn’t work in this situation. Big Data storage referred to the problem of storing such a large amount of data. Big Data analytics was the term for the problem of analyzing all this data. What does Big Data have to do with e-Learning development? In the e-Learning world, when learners interact with content in your course, they produce data—or Big Data. We’re now able to collect and track this data through learning management systems (LMSs), social networks and other media that tracks how learners interact with aspects of the e-Learning course. The good news is that we’ve come a long way for the origin of the term Big Data. Today, Big Data be processed and analyzed, which is especially helpful for the e-Learning industry. What are the benefits of Big Data for the e-Learning industry? Big Data can help us understand the real patterns of our learners more effectively because it allows us to track a learner’s experience in an e-Learning course. By examining the digital breadcrumbs or digital footprints, we’re able to track the learner’s journey throughout the entire learning experience. By tracking Big Data in e-Learning, we can see which parts were too easy and which parts were so difficult that they got stuck. Some other parts of the journey we can track and analyze are pages they revisit often, sections they recommend to peers, learning styles they prefer and the time of day they learn the best. How is Big Data changing e-Learning? Big Data will change the way we approach e-Learning design by enabling developers to personalize courses to fit their learners’ individual needs. This will allow e-Learning professionals to continue to raise the standard for effective and exceptional e-Learning courses.A learning management system like Lectora Express – The Easy LMS or CourseMill LMS can help you easily track, record and analyze your learners’ Big Data. The future of e-Learning will continue to be affected by Big Data, creating many opportunities to make online training more effective. Take advantage of the benefits Big Data offers for your learners as you track their digital breadcrumbs and footprints.